The vaccine to prevent Human Papilloma Virus infection (HPV) was released in 2006 with a wide variety of opinions. Texas Governor, Rick Perry, announced his commitment to make sure every woman in Texas had access to the vaccine and from that moment on, every comment about the vaccine was a negative one. Many claimed political and economic interest behind Perry’s statement while others believed the vaccine was only serving to condone sexual behavior in adolescents. In addition to the controversy, the list of side effects was long and multicolored which caused an even greater sense of uneasiness within the public. Fortunately, science and research has allowed citizens to see past the initial negatives, and accept the ambitious project to eradicate uterine cancer in women. According to an article released by the Journal of Infectious Diseases, the number of HPV cases showed a 56% decrease from 2006-2010. However only 32% of adolescents received the vaccine within that time frame. HPV is not only linked to uterine cancer in women, but also cancer of the head and neck, making males possible carriers as well. Such findings has led health care providers to insist on male vaccination, and most insurance plans now cover the administration for boys ages 11-12. For parents who refuse to vaccinate their children and claim the impossibility of contact, it’s important to consider the uncertainty of future sexual partners. In fact, even those committed to monogamous relationships have contracted the virus. Remember, infections are dangerous and strong family values and education cannot be the only protection for our children. Unfortunately “good morals” do not make us immune. 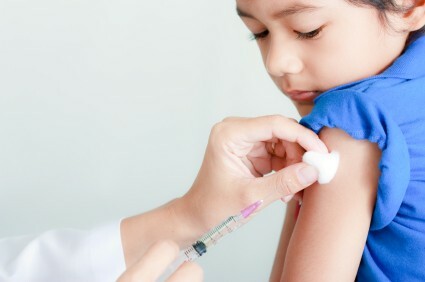 Have you schedule your child’s back to school vaccinations? Don’t miss your chance – appointments are filling up fast!